Natural theology, in the view of many, is in crisis. 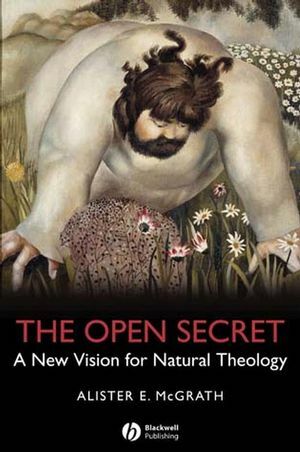 In this long-awaited book, Alister McGrath sets out a new vision for natural theology, re-establishing its legitimacy and utility. Alister E. McGrath is Professor of Historical Theology at Oxford University and Gifford Lecturer at the University of Aberdeen for 2009. He is a world-renowned theologian, and is the author of numerous best-selling titles. 1 Natural Theology: Introducing an Approach. “Nature” is an Indeterminate Concept. Natural Theology is an Empirical Discipline. A Christian Natural Theology Concerns the Christian God. A Natural Theology is Incarnational, not Dualist. Resonance, Not Proof: Natural Theology and Empirical Fit. Beyond Sense-Making: The Good, the True, and the Beautiful. Part I: The Human Quest for the Transcendent: The Context for Natural Theology:. 2 The Persistence of the Transcendent. Natural Theology and the Transcendent. The Triggers of Transcendent Experiences. 3 Thinking About the Transcendent: Three Recent Examples. Iris Murdoch: The Transcendent and the Sublime. Roy Bhaskar: The Intimation of Meta-Reality. John Dewey: The Curious Plausibility of the Transcendent. 4 Accessing the Transcendent: Strategies and Practices. Ascending to the Transcendent from Nature. Seeing the Transcendent Through Nature. Withdrawing From Nature to Find the Transcendent Within Oneself. Discerning the Transcendent in Nature. 5 Discernment and the Psychology of Perception. Perception Involves Dynamic Mental Structures. Perception is Egocentric and Enactive. Perception Pays Attention to Significance. Perception Can Be Modulated by Motivation and Affect. Human Perception and Natural Theology. Part II: The Foundations of Natural Theology: Ground-Clearing and Rediscovery:. 6 The Open Secret: The Ambiguity of Nature. The Mystery of the Kingdom: Jesus of Nazareth and the Natural Realm. The Levels of Nature: The Johannine “I Am” Sayings. Gerard Manley Hopkins on “Seeing” Nature. 7 A Dead End? Enlightenment Approaches to Natural Theology. The Enlightenment and its Natural Theologies: Historical Reflections. The Multiple Translations and Interpretations of the “Book of Nature”. The Flawed Psychological Assumptions of the Enlightenment. The Barth--Brunner Controversy (1934) and Human Perception. Enlightenment Styles of Natural Theology: Concluding Criticisms. 8 A Christian Approach to Natural Theology. On “Seeing” Glory: The Prologue to John’s Gospel. A Biblical Example: The Call of Samuel. The Christian Tradition as a Framework for Natural Theology. Natural Theology and a Self-Disclosing God. Natural Theology and an Analogy Between God and the Creation. Natural Theology and the Image of God. Natural Theology and the Economy of Salvation. Natural Theology and the Incarnation. Part III: Truth, Beauty, and Goodness: An agenda for a Renewed Natural Theology:. 9 Truth, Beauty, and Goodness: Expanding the Vision for Natural Theology. 10 Natural Theology and Truth. Resonance, Not Proof: Natural Theology and Sense-Making. The Big Picture, Not the Gaps: Natural Theology and Observation of the World. Natural Theology, Counterintuitive Thinking, and Anthropic Phenomena. Natural Theology and Mathematics: A “Natural” Way of Representing Reality. Truth, Natural Theology and Other Religious Traditions. On Retrieving the Richness of Truth. Truth and a Natural Theology of the Imagination. 11 Natural Theology and Beauty. Recovering the Place of Beauty in Natural Theology. The Neglect of Beauty: The “Deconversion” of John Ruskin. Hugh Millar on the Aesthetic Deficiencies of Sense-Making. John Ruskin and the Representation of Nature. The Beauty of Theoretical Representations of Nature. Beauty, Awe, and the Aesthetic Engagement with Nature. Aesthetics and the “Seeing” of Beauty. Beauty, Natural Theology, and Christian Apologetics. 12 Natural Theology and Goodness. The Moral Vision of Reality. Natural Theology and Natural Law. The Eternal Return of Natural Law. The Moral Ambivalence of Nature. The Knowability of Goodness in Nature. The Discernment of Goodness: The Euthyphro Dilemma.